Woohoo! 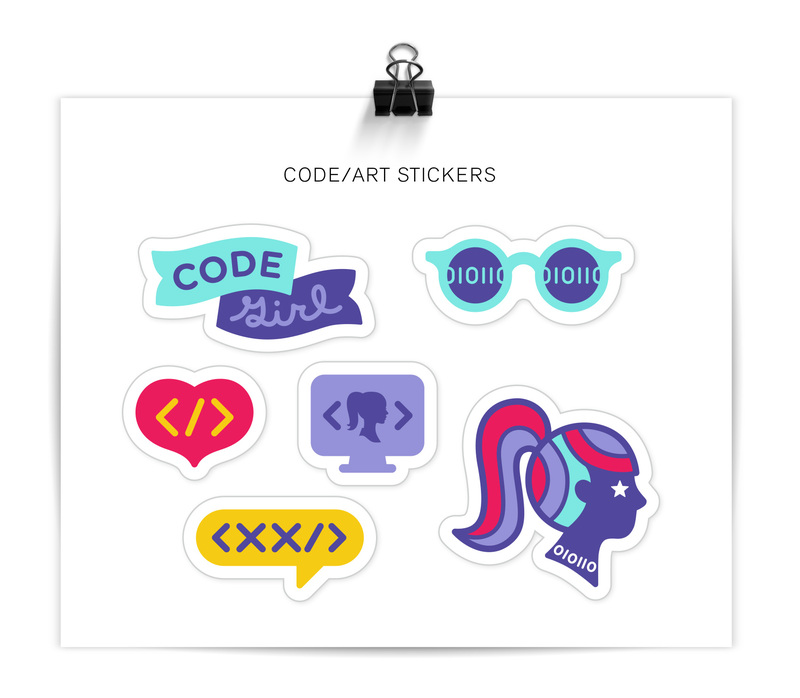 To follow up on the Code/Art donor pin from last month, I’m happy to share a series of three pins designed for Code/Art participants – girls in their tweens and teens who explore code through art & creativity in guided Code/Art workshops. I had my own button and pin collection in my younger years (read: 1985-1990) so working on this series was flashback fun. Plus any time I can work with an organization that helps girls GO FOR IT, it’s all I can do not to hire a skywriter. MOO cards has been a steady companion of mine to provide pin backers that are sturdy and good looking, and this time was no exception. 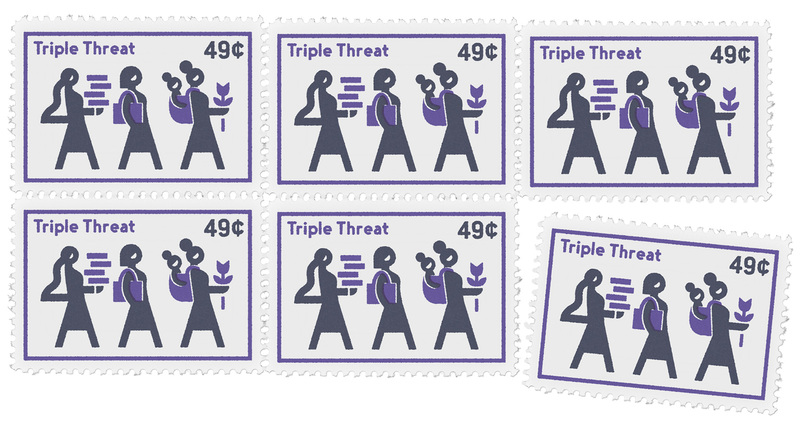 Along with the pins, participants also get stickers to kit out their computers, peechees (do those even exist anymore?? ), or other flat surfaces. The style and colors were derived from their core brand, but the project had lots of room for exploration. Read more about Code/Art on their website. File this one under “procrastiworking” on a Friday afternoon. I have a lot of sketches in this realm, loosely grouped under the idea of a love economy, inspired by #thefutureisfemale and #metoo, Time’s person of the year, and the general movement of strong, able, contributing women coming together for good. While I don’t always feel strong, able or like a contributor, knowing there is steam behind an idea sure helps in not feeling alone and wanting to rise to the challenge. This little ditty was small so it got stuck on a stamp. More to come…what do you think?